Two Days, One Night (Jean-Pierre and Luc Dardennes). I'll admit up front--I am a huge fan of the Dardennes brothers and their films. Like modern-day parables, the Dardennes films are simple stories embodying profound moral and spiritual themes. Two Days, One Night follows this structure, focusing on Sandra (Marion Cotillard) and her struggle to keep her job. Her employer offers her co-workers a vote--they can choose to keep Sandra as part of their team, or opt to get a 1000 Euro bonus. After Sandra and a friend get the boss to cast a re-vote, Sandra has a weekend to convince her colleagues to give up their financial bonus so she can keep her job. It's a moral situation in the vein of sociologist Lawrence Kohlberg--what would you choose to do, and why? It's a simple situation, yet there are so many factors and motives to consider. Initially, the vast majority of employees (understandably) take the bonus. It's only when Sandra begins showing up on their doorsteps and looking them in the eye where the choice becomes more difficult. Her message is the same--she feels the vote was unfairly influenced by their frightening foreman and she wants them to reconsider. Many ask the question, "who else has said they would vote for her?" Some change their minds; others don't. The emotional response to Sandra ranges from anger to pity to indifference to deep empathy. In each case, Sandra's brief interaction forces a moral choice, a knee-jerk reaction and a revelation of values and principles. This is more than just a film about moral choices, though that's central to the narrative. Sandra was not at work for a season due to struggling with depression, a personal battle where she has only recently begun to find victory. To walk up to her colleagues and look them in the eye, asking for their charity and grace only to experience a stream of rejection--this requires enormous emotional strength and fortitude, something Sandra doesn't believe she has. Supported by her husband, who drives her to these confrontations both literally and emotionally, Sandra must rely on an inner determination to keep both her job and her sanity in the face of such an emotionally-draining circumstances. If you've ever been in a situation where every decision feels like an uphill battle, where all conversations feel like closed doors and no one seems to take your side or understand your position, Sandra's plight will be familiar. She wanders about town, bright in her pink tank tops and sorrowful in her blue eyes, looking for someone who will stand up for her and choose to forgo financial gain for her sake. Two Days, One Night is the most accessible and mainstream of the Dardennes films. Typically filmed with unfamiliar actors--apart from a few Dardennes regulars, like Olivier Gourmet and Morgan Marinne--the inclusion of Oscar-winner Marion Cotillard and the overt three-act narrative arc allows audiences unfamiliar with the Dardennes style to begin their journey with these remarkable filmmakers. Yet this isn't a lesser Dardennes film at all; its simple beauty and strong performances are quietly marvelous. I was moved to tears by the final cathartic scene, and this is the strongest film I've seen both at VIFF and in 2014. 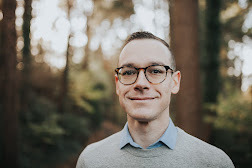 Listen Up Philip (Alex Ross Perry) Writer Philip Lewis Friedman is at once irritated, neurotic, arrogant, and insecure. He vacillates between viewing himself as above everyone and the victim of everyone. As he awaits the publication of his second novel, he finds himself increasingly at odds with those around him--his publishers, his girlfriend Ashley, even the whole city of New York. When novelist Ike Zimmerman invites Philip to use his cottage in the country for rest of mind and to focus on his work, Philip takes him up on the offer. A strange mentorship begins between Ike and Philip as two strikingly conceited individuals are drawn into each other's orbits, mutual sycophants and adversaries, clinging to the energy of the other. Listen Up Philip is a comedy in the vein of Woody Allen--witty, cynical, highbrow, heavy on the dialogue and exposition, filled with neurotic and well-educated characters wandering aimlessly with New York as their backdrop. It had a bit too much voiceover narration for my taste--many scenes are simply the characters walking through New York while the narrator explains their feelings and motives, blatantly resorting to telling, not showing--and Philip isn't a particularly likable protagonist. Yet I laughed enough and found myself nodding along as Philip struggles with defining what success looks like for him as his idol in Ike is found to be an empty false god. 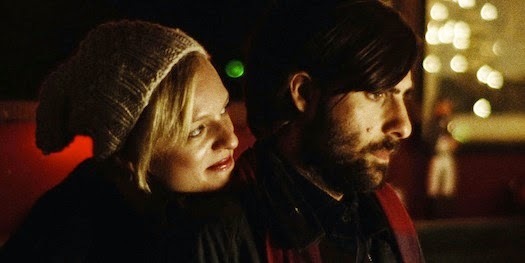 The whole cast is admirable, particularly Jason Schwartzman as Philip and Elisabeth Moss as his photographer girlfriend, Ashley. Filmed with intimate closeups and a homemade begrimed quality, Listen Up Philip was an amusing diversion in an otherwise weighty film festival lineup at VIFF.